Flourishing Florist is designed to support you creative freedom and highlight your design skills while we focus on giving you the tools you need to flourish your online sales, delight your customers, and increase your brand reputation. Become a Flourishing Florist and have a professional online store that strategically help you increase your sales and give your customers the best online experience. Get full control of your store. Easily add your logo, banner images, customize your store color and more. You'll love how your website looks. We provide an easy interface to manage your products, orders and store. 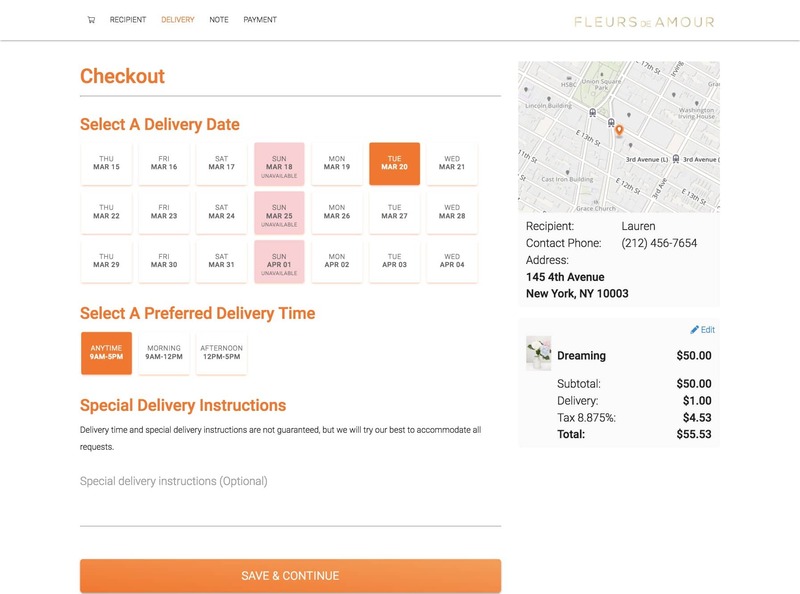 Full control of your delivery dates and delivery zones. 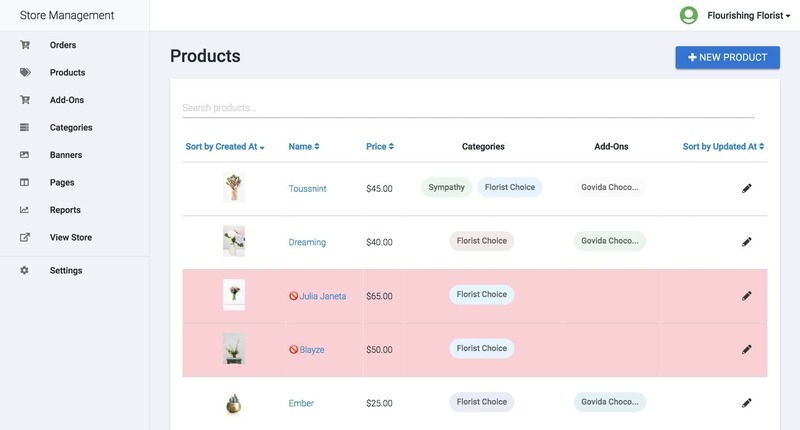 Rank higher, appear more in search results, and help potential customers find your store using Flourishing Florist’s built-in SEO feature. Slow sites lose sales and rank lower in search results. Our pages load fast plus we provide a simple and quick checkout process for your customers. Analyze and measure your store's performance to take better decisions. We designed Flourishing Florist to have great user experience on smart phones, tablets and desktop. It makes it easy for you to manage your store and check order wherever you are. Your customers can browse and buy from your store wherever they are. Our order tickets features a map of delivery location and a quick scan QR code. Delivery drivers can scan the QR code to get driving directions, get order information and update the delivery status. You and your delivery drivers will love our order tickets. Get an instant alert when you receive a new order by email or text message. Set up your online store, try free for 30 days, buy your plan later.